That's right, life-sized, giant foosball! Take your standard foosball table and multiply it by 100. 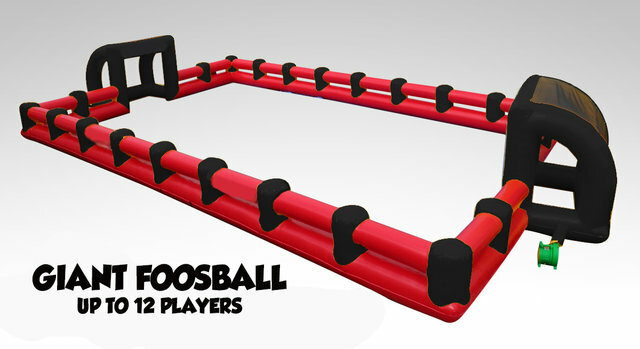 Get 10 to 12 people together and create your own life-sized foosball game! Epic fun and built tough, this giant foosball inflatable comes complete with flexible rods to restrict each player to only move side to side. Enclosed goals keep the ball in play. This game is extremely competitive and fun!